Breath is sited on the Isle of Mull and continues to examine my ancestral links with the island: the parameters of body and site are questioned, highlighting the pertinent relationship between presence and absence. My great grandfather was an early pioneer of X-ray and kept a large block of radium in his desk. 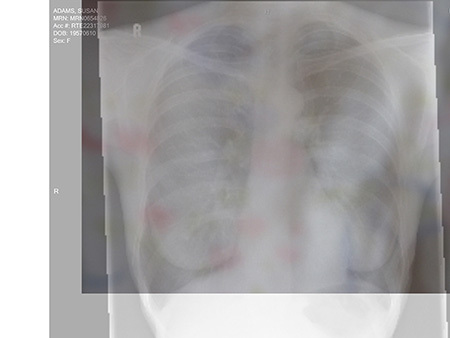 Whilst working on this project, I was subject to a series of internal examinations – scans, biopsies and x-rays. Images of body landscapes resulted: photographs that are interwoven with the history of my maternal family as well as with more recent encounters on Mull.